Hello hello, I hope you're all having a great Sunday. I know I only just introduced a brand new series yesterday, but brace yourselves for a new one, because I had another brain wave and I'm really excited to share it with you all (again). I'm not 100% sure what I will be calling this, so atm I've left it as 'I.G Tut', but watch this space haha. Now I have always enjoyed making little makeup clips for the gram, even when the video length was just 15 seconds! I would diligently sit and cut down, speed up, find music and create mini clips, which I personally loved doing and I got a great response from my followers. The chances of me ever starting my own YouTube channel are slim to none, but that doesn't mean I can't utilise one of my favourite platforms and take advantage of their newer 1 minute allowance for videos. At the same time I don't think the videos alone are very useful, so I wanted to combine my main platform (my blog), with my second largest base I.G and write posts to go along with it. I hope my IG followers find this useful ^_^ I'll be linking products, reviews, talking about techniques and giving you mini reviews of each of the products too. 1. Moisturiser: Embryollise creme concentrate, is the absolute BEST. I very rarely apply anything else before I put on makeup, because it sinks into the skin so well and any foundation applied on top applies beautifully. Especially if its a heavier kind of base. I once tried to use mehron HD over a nivea moisturiser and it just took longer to blend and didn't sit as well. Embryollise does have mineral oil in it, so if your skin doesn't react well with that, perhaps avoid! Otherwise though it's well worth trying out, the best moisturiser for it's price without a doubt. 2. Corrector for under the eyes and around the mouth: I have created my own custom corrector and it was a bit of a spur of the moment thing, but it works SO well! I reviewed the L.A Girl correctors here, and in that post I said how the orange shade just does not work for me because its too strong of an orange. So I decided to try mixing the orange and yellow on the back of my hand and it worked so well! I've not cleaned out a little benefit eyecream pot, and mixed them together which'll save me a lot of time in the morning. 3. Foundation: NARS Sheer Glow in Stromboli (reviewed here) is one of the best bases EVER. I love this and because I've reviewed it already in detail, I won't into too much detail, but basically its the best medium coverage base ever, I adore it! I blended it in with a damp beauty blender, my favourite method of application, the sponge is worth the price I promise. 4. Concealer: I used the Kevyn Aucoin Sensual Skin Enhancer in SX07 for under the eyes and to highlight of course! I've reviewed this base in full here, and this post also explains the best way to use it and to set it too. I then used the same concealer in the shade SX08 to conceal that horrid spot on my forehead - it can conceal EVERYTHING. I blended it with the same damp beauty blender of course. 5. Set and lightly bake: The Kat Von D Shade and Light palette, which I reviewed here, is my all time favourite and you can see that by how much I have hit pan! 4 shades down, just two to go haha. The shades lyric and levitation mixed together work really well under the eyes. The brush I used is the Real Techniques Setting brush, its fantastic and I need one more in my collection for sure. I then used the orange shade to set over that pesky spot, and it really helped to hide the spot. You wouldn't want to apply the yellow powder over the spot, because it would highlight it and bring it to the surface. The to 'semi-bake' I used the Kat Von D Lock It Setting Powder, which is very lightweight and doesn't appear ashy on the skin. I've not had a chance to talk about this on the blog yet, but I have to say I really like it. For the price you get a lot of product and it does look better than the Coty powder. I use the primark mini sponge for the semi-baking, it is BRILLIANT! Just make sure it's well and truly damp first. 1. Brows: I've been using the Colourpop brow pencil in bangin brunette, which is very very similar to the ABH Brow Wiz! I usually wear my pomade, but when I'm in a rush this pencil does an excellent job at drawing out a shape. Plus the spoolie on the other end is perfect for blending the product through - you can't go wrong for the $5 price tag. The next step is to use the essence make me brow in 3 - a total benefit dupe for less than £3! I love this for toning the brows down a little bit, but also for setting them in place and the fibres create a more realistic look too. A real must have. Also for those asking, I always order my essence products online because theres a lot more variety vs. my local store (which also isn't that local by the way). 2. Bronzer: Topshop mohawk, is my all time favourite affordable bronzer', it is the perfect colour for my skintone! I've reviewed it more here. I love using the Real Techniques multi task brush, it is a great size, and ever so slightly tapered so you can apply it at an angle if you want some definition. I use the multi task brush almost every single day, its a must have in my collection, but as far as I remember its only available as part of their sets - they need to sell some of their brushes individually I'd be picking up a lot more! 3. Contour: ABH Refil Shade in Ash Brown, which I bought on sale from beautybay for an unbelievable price of less than a fiver! Although its not one of their more popular shades, I LOVE it so much. It's not quite as grey as a typical contour shade, but it is deep enough to really add definition. For the cheeks I used the Real Techniques Contour Brush and for the nose I used the Real Techniques Flat Foundation Brush, which was actually a first but it works really well! Both of these brushes are available in this kit, which is also on sale atm. 4. Blush: NARS Torrid is one of my favourites, I have reviewed it here. The brush I used is actually an ebay Jessup one. I love it because the bristles aren't very dense and it blends products out in a more natural way - which is useful for highly pigmented products! I can't seem to find the exact brush kit I purchased, but a quick ebay search shows they've improved their kits a lot and I think its the same blush brush in this kit. 5. Highlighter: Anastasia Beverly Hills Glow Kit in Sundipped, a full review for this is coming up in the next week or two - I love it! The shades are beautifully pigmented and a little stronger than the previous glow kits (although not as intense as the newest one, as far as I can tell!). The brush I used is the Morphe M501, which is AMAZING! 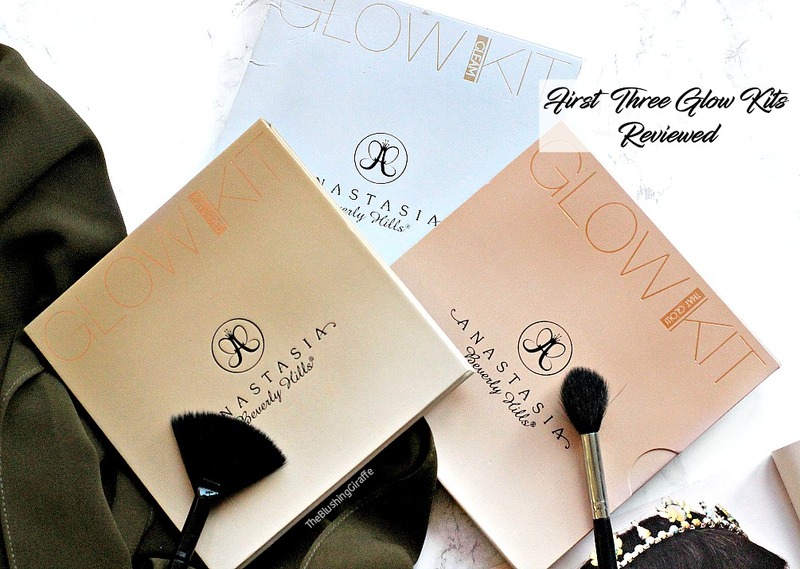 Its a shame they've increased the price, but I have to say it's still worth it and double, because it applies highlighter better than any other I own. 6. Facial Spritz: Mario Badescu Facial Spray With Aloe Herbs And Rosewater, reviewed here. BEST EVER. Can't speak highly enough! 1. Crease: MUG Dessert Sands is a gorgeous mustard shade which I LOVE for the crease! As my favourite colours to wear on the eyes are deep reds and browns, this shade of yellow blends so beautifully with them and it is one of my all time favourites. I used the Morphe M504 brush, which is fantastic for blending in any crease shade quickly and efficiently, a real go-to. 2. Lid: ABH Blazing was then blended all UNDER the crease area, mainly on the outer part of the eyelid. I adore the shade and I'm not sure why it's not more popular to be honest! The brush I used was the Morphe M507, again another MUST have brush in my collection! It is perfect for smaller detail work and its a very unique brush in my collection, I love it for the crease and inner corner too. I then blended out the crease again with the same M504, to make it all look seamless - blending is KEY for any eyeshadow look! 3. Main Lid: ABH Henna, all over the lid with a double ended ecotools brush (reviewed here!). Tbh I wish I had applied this with my finger instead as the pigmentation would have been stronger. 4. Lower Lash Line: Using the Zoeva 238 Luxe Precise Shader reviewed here, I ran Blazing under the lower lash line. 5. Inner Corner: Taking that same brush, I popped some of MUG's Vanilla bean reviewed here, in the inner corner and slightly further into the lid. This reduced the pigmentation and opened the eyes up a little too. 6. Back to the crease: Using the other end of the ecotools brush (the shader side), I roughly applied some of MUG's Wild West, which is a beautiful deep dusty purple which I LOVE for adding some depth to any look. I then blended it out with the same M504. 7. Lower Lash Line again: Going back in with MUG's Dessert Sands, I blended it all over the lower lashline, because it looks gorgeous with the red hue of blazing, they're a match made in heaven😍. I then went over the lower lashline again with Wild West, because I felt like it needed some definition and depth! 8. 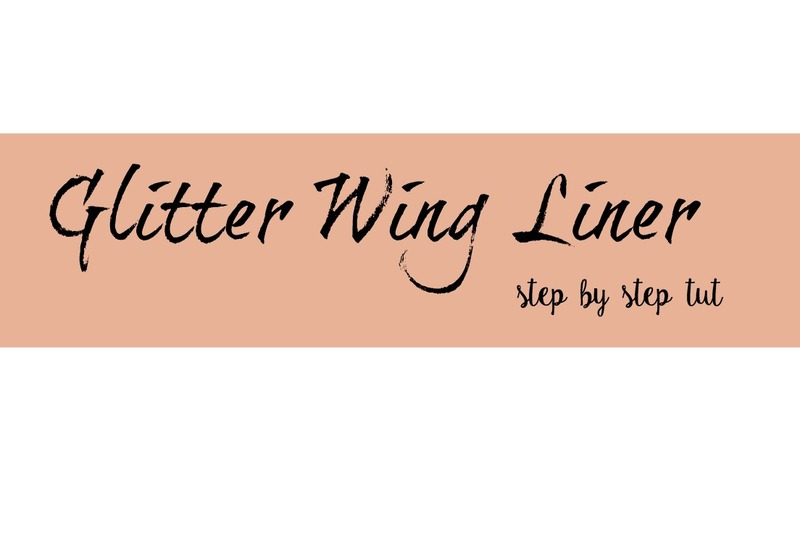 Winged Liner: The Balm's Schwing Liner is a gorgeous, very pigmented, long lasting eyeliner which I have really enjoyed. I don't like the fact that the tip is fraying now, but hopefully with a pair of scissors it'll be as good as new! 9. Glitter! Horaaaaay, the glitz part. Using the paintglow glitter me up fix gel, I applied a little on the edge of the Zoeva Winged Liner Brush, then I carefully used the brush to apply a line of it just above the wing I had created. I could have been a little more precise with this part, but once the lashes were applied it didn't look too intense! The using a double ended primark brush, I dipped my brush into the certifeye rose gold glitter and carefully patted the glitter over where I had just placed the gel. 10. Lashes: I've not included these in my video, because I plan to write a post about it and create another mini video for IG. But the lashes I'm using are from Anaqa lashes (IG here) in the style Nour. They're VERY dramatic but really made the look appear glamorous. Also the lovely owner Doua, kindly gave my readers a discount code, so use 'Iqra10' for 10% off your order! 11. Lips: And the final step 😅, I used the Rimmel liner in tiramisu, which is a firm favourite. It's excellent for natural lip shades, as well as anything orange toned because it does lean on that side of the colour spectrum. I also really like the formula of these pencils. I then used the Huda Beauty liquid lipstick in trendsetter - another favourite of mine! Whilst it appears more orange, once it's dried down it looks deeper and very sophisticated.